CLICK HERE for 1st-5th Concert Songs! Welcome to Mr. Nichol's Home Page! I love teaching music to kids and have an abundance of information to give to them regarding performance and technology. Can't wait to see you at the next concert! The "Useful Links" page includes many links for Apple, Android, Chrome, and PC based music software most of which is FREE! Visit our newly expanded Music, Games, and Links for your child page too! 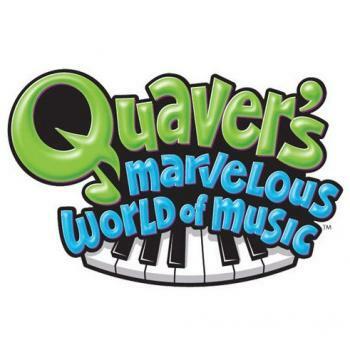 Don’t forget our friend Quaver! My Favorite Gorilla from Pittsate Welcomes everyone back to a great year! I come to Easton School District from the Leavenworth U.S.D. 453 school district with great anticipation of our first days together. I plan on making musical enjoyable and interactive for all students. 2017-2018 marks my 13th year as a music teacher! I have a wife, Annie, and 4 children: Jack, Ellie, Jonah, and Madeline. Annie went to school here and now I get to teach here too! We live in Leavenworth and enjoy the area. In addition to teaching I have extensive experience in performance with a former band of mine opening for such acts as The Gin Blossoms, The Urge, and Blood Sweat & Tears. Currently I DJ nearly every weekend around the KC metro and beyond. I’m always willing to share my knowledge of music with the kids and will gear them to be professional in every aspect of their performance. My emphasis is on technology! Some Incredible Talent I've worked with Professionally! www.mikedebus.com - AWESOME performance painter! www.briancollinsmusic.com – Brian Collins from Atlanta GA came to our school twice in 2015-2016 and sang with our kids. Phenomenal person. Thanks Brian! Now he’s doing tour dates sitting in with the Zac Brown Band! New for 2018! Anna and Peyton’s Songs to Sing in the Car! My personal homepage is at either JF Productions or KCDJ.PRO and thanks! Ghostbusters! (with singer) - Ray Parker Jr. Question : What is your favorite genre of music for a children's music concert? ? 6. A Little Bit of Everything!